Three IDF soldiers were injured Monday afternoon in a terrorist ramming attack south of Jerusalem. The attack occurred on Route 60 in Gush Etzion, south of Jerusalem at around 12:15 p.m. Monday. 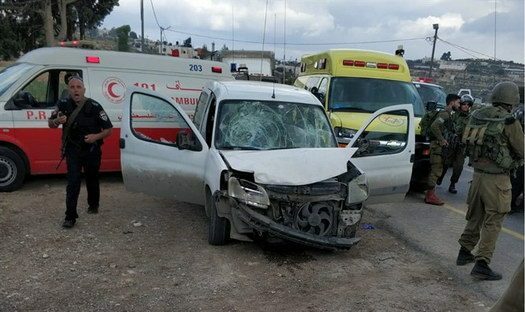 The three soldiers were involved in engineering work on a the road when they were hit by a vehicle driven by the terrorist, who fled the scene immediately after the attack. Two of the three of the victims are listed in light condition, while the third is in moderate condition. 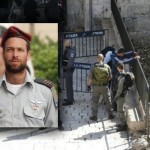 The terrorist has reportedly been shot and killed by Israeli security forces. MDA emergency first responders treated the three victims at the scene. The injured were then evacuated to Hadassah Ein Kerem Hospital and Shaare Zedek Medical Center in Jerusalem. 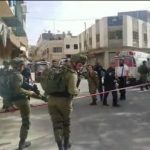 “When we arrived at the scene of the attack, along with an army medical team, we saw three youths, fully conscious, walking about,” said senior MDA paramedic Abba Richman.